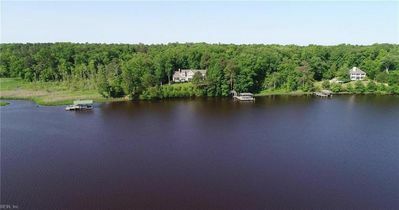 Waterfront Home on 15 acres directly on the Mattaponi River, the most pristine tidal freshwater estuary east of the Mississippi. Spacious Interiors are Warm & Welcoming. Endless Vistas of Serene Waterscapes from Every Direction. 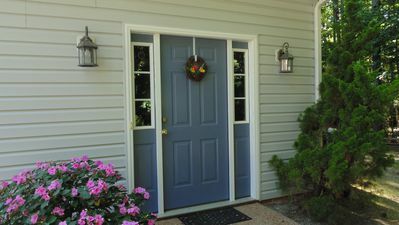 5400 square feet. 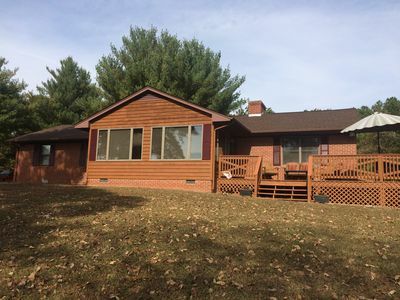 First Floor: Laundry Room, Kitchen, Screened Porch, Dining Area, Living Room with stone fireplace, Master Bedroom with King Bed, tub, separate shower and double vanities, two walk in closets, and connected to a Sunporch with Queen Bed, sofa and recliner. Also, two half baths on First Floor. Second Floor: Master suite with Queen Bed (whirlpool tub and shower), one double bedroom with four Twin Beds (two in each room), one bedroom with Queen Bed, a twin size "hall bed", and additional bath with tub and shower and double vanities. Lower Level: Rec room with pool table, ping pong table, fireplace, TV area , one twin bed, and bath with shower and double vanities. Two TV's (First Floor and Lower Level), with Dish network. Fire pit. The river is freshwater, so no need to worry about stinging nettles! 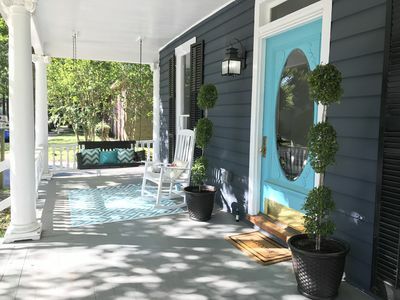 Although secluded, the home is close to many nearby attractions including Busch Gardens, Water Country, Colonial Williamsburg, Yorktown and Jamestown. 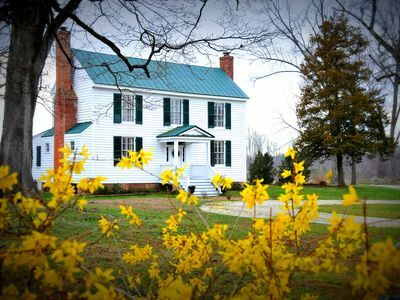 One hour from Richmond and its great museums. 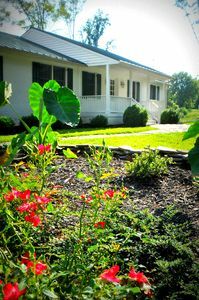 Great place to stay for Virginia Garden Week. 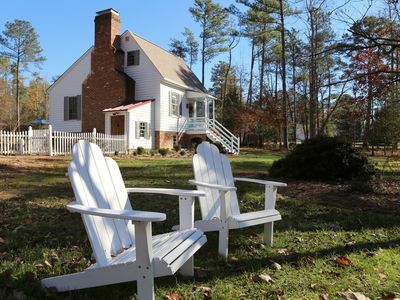 Luxurious Cottage Retreat convenient to Williamsburg, Yorktown and Richmond. Step Back Into The Mid 19th Century! 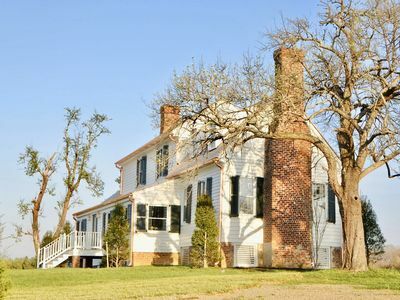 Enjoy An Idyllic Virginia Country Retreat. 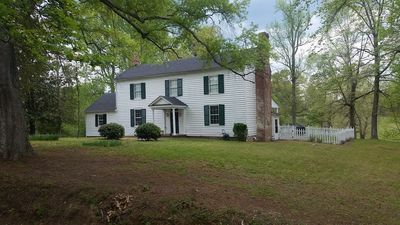 Pet Friendly Family Farm House - Magnificently restored, close to attractions.